She raised a generation of daughters. And they in turn are raising another generation of daughters and sons. 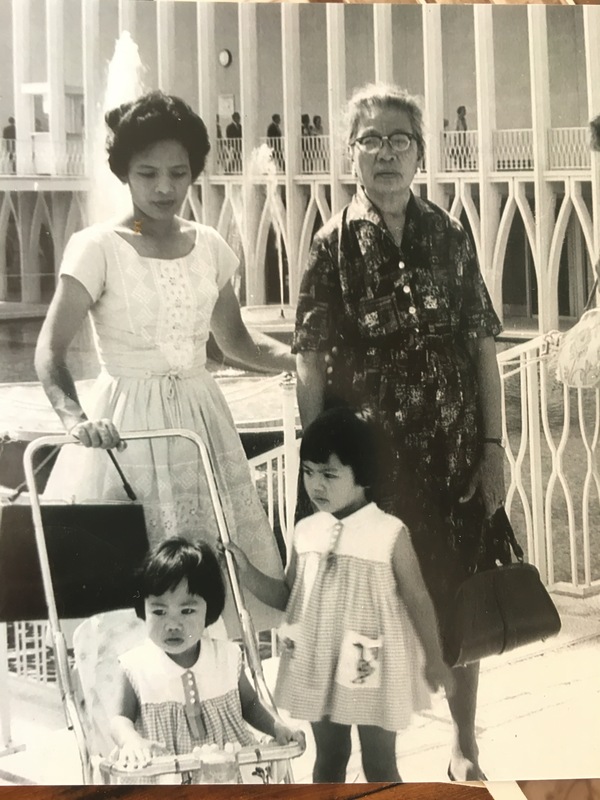 The concentric circle extends even father outward, as she was the “Tita”, the aunt to an extended generation of daughters, her nieces, whom she raised as her own and even more significantly, brought them here to the United States. 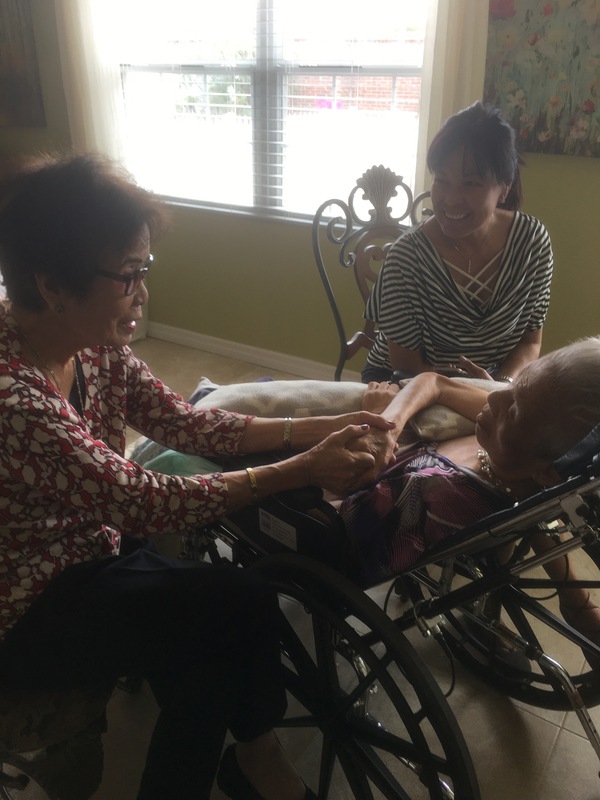 She continues to be the matriarch and mother figure for decades of lifetimes beyond their own, to their children’ children, even as she lies in her hospital bed, the place where her nieces and sister gather around her now. 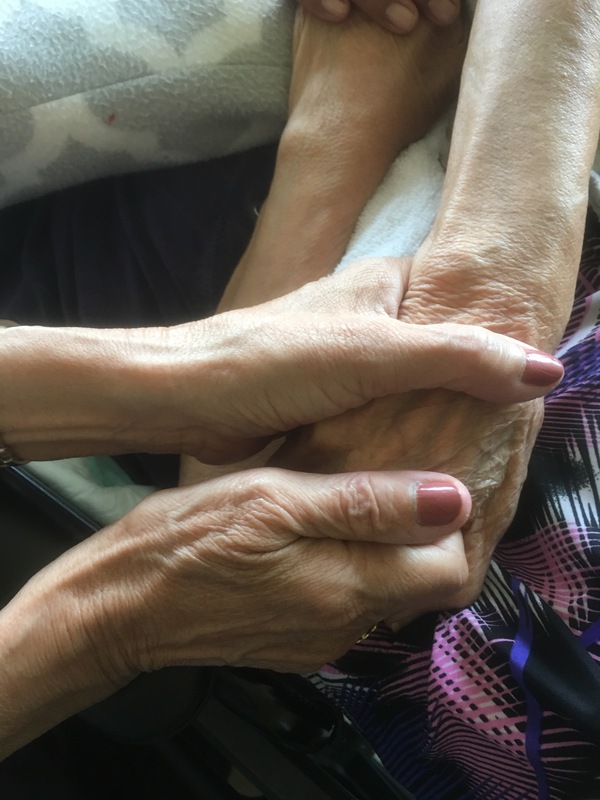 The strength of my mother’s love reaches past borders and generation, touching lives even as she lies still, her left side paralyzed, her heart still as full and loving now, smile filling her entire face. 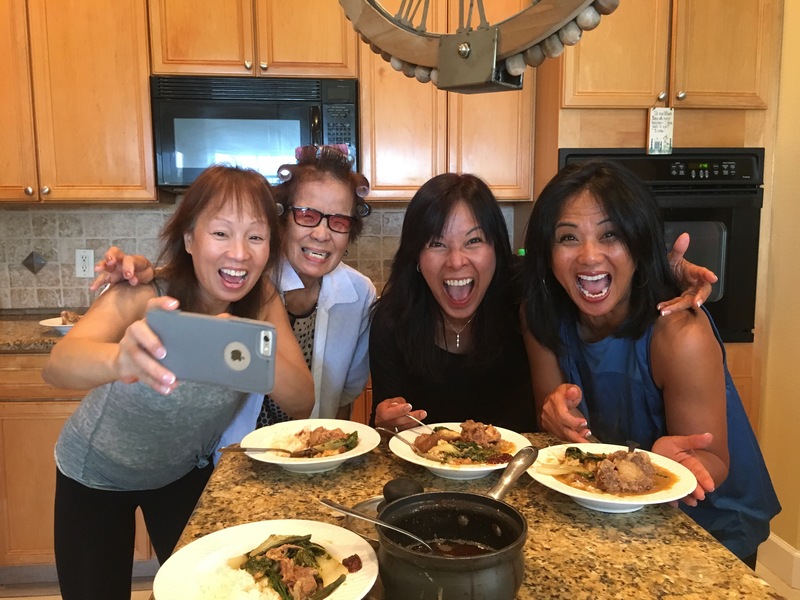 During this gathering of my cousins and aunt we shared a weekend of tears, hugs, laughter, and our favorite Filipino food, Kare Kare (oxtail soup), my aunt’s specialty. When my mother was admitted to hospice several weeks ago I had asked them to come to see her. Her Alzheimers was taking its toll on her memory and she was losing weight rapidly. “Please come see my mother,” I asked them. And they did. They travelled from the other coast to be here. 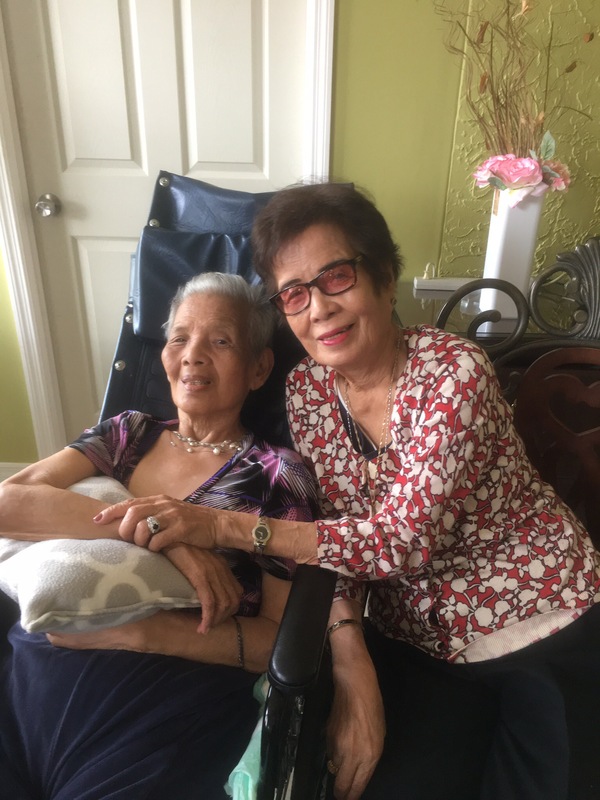 My mother’s only surviving sister of nine siblings, at 87, came to be at her side. 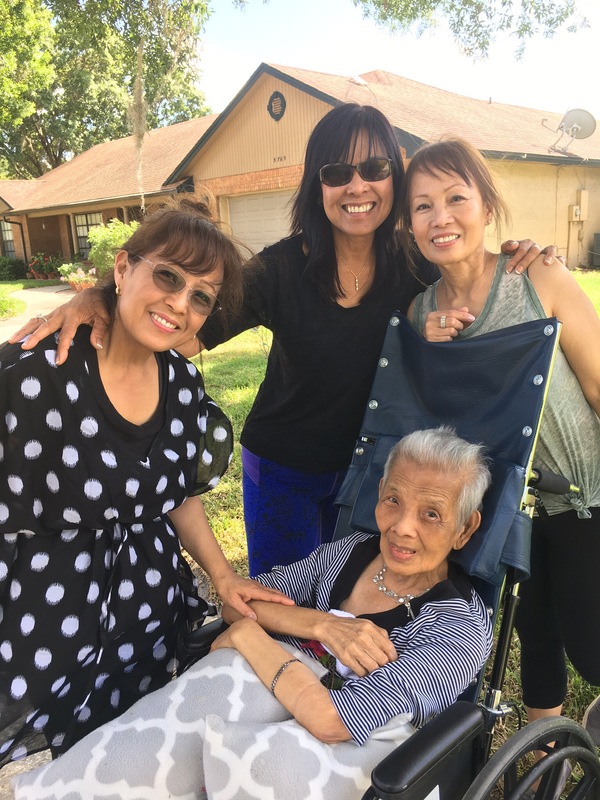 My cousins, two the daughters of this sister, and one, the daughter of my mother’s younger beloved sister who passed away two Mother’s Day ago, with Alzheimer’s. Together we leafed through old black and white photographs. Since they were raised in the Philippines and I was born here, my cousins knew so many details of the family’s life that I did not. 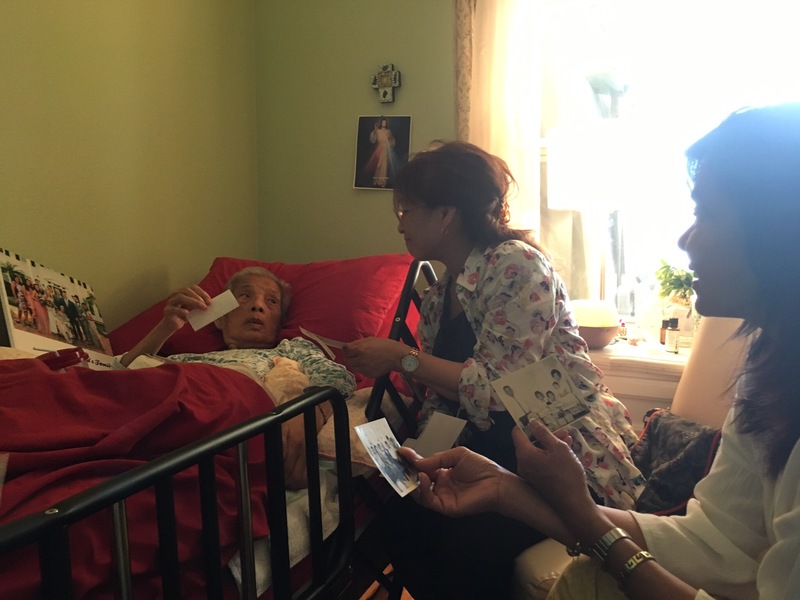 Our bedside visit became a story telling session of our family’s past. This picture was taken in inside the house with my appliances. My cousin Carina explains to me that our grandmother was the queen of the province where she lived in the remote farmland of the Philippines. 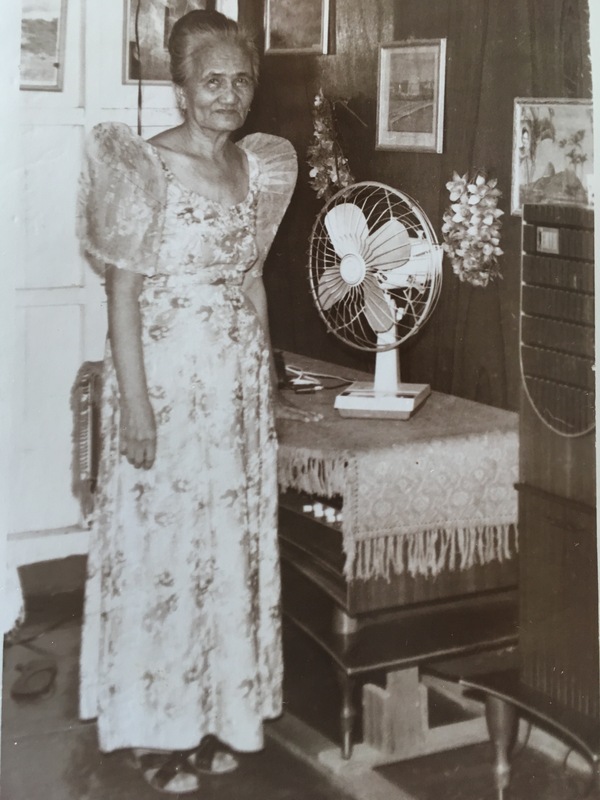 She was the only one with electricity, with appliances- an electric fan, a refrigerator, a radio, a television. Carina remembers the neighbors peeking into the window of the concrete block house, the biggest one on the street, to get a glimpse of the television working, a novelty back in the 1970’s. My father would send his mother money to purchase these appliances from his meager salary as a food service worker at the Veteran’s Hospital. He was a veteran himself, 24 years in the US Army, a retired sergeant who had risked his life as Philippine Scout to escape from the Bataan Death March in World War II. My father, an enlisted man who fought on the front lines of the Korean War, would be so proud to know that Carinas’ sons now serve as officers in the US Army and Air Force, one as a major and one as a lieutenant as well as other cousin’s son, one who bears his name, Bermudez, a major in the Army. These sons of Carina were taught by my mother how to read. They had just come to this country, and I remember my mother, a former third grade teacher, sitting on the couch reading our favorite children’s books, Where the Wild things Are and Curious George to these sons who are now officers serving our country. We pick up a photo of our mother’s mother. 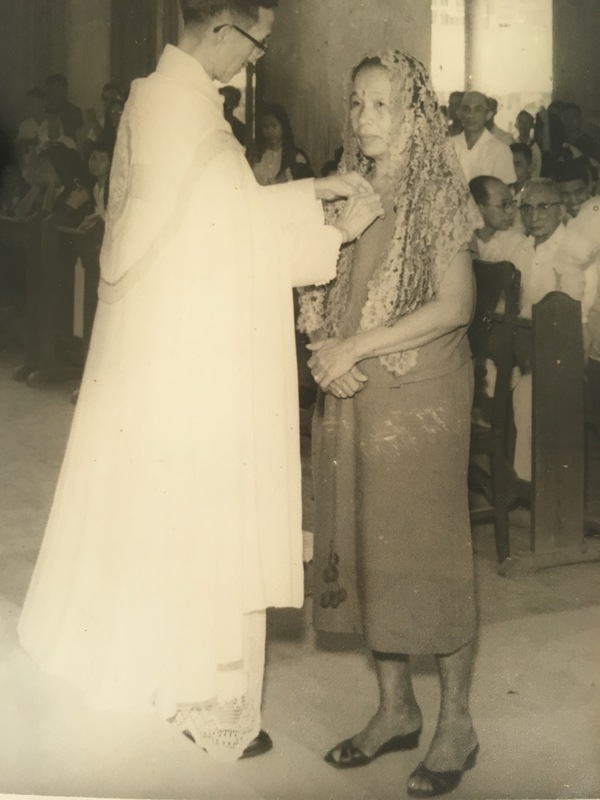 Veiled and stoic, hosting the same eyes and my mother, she is receiving an award from their priest at their parish. 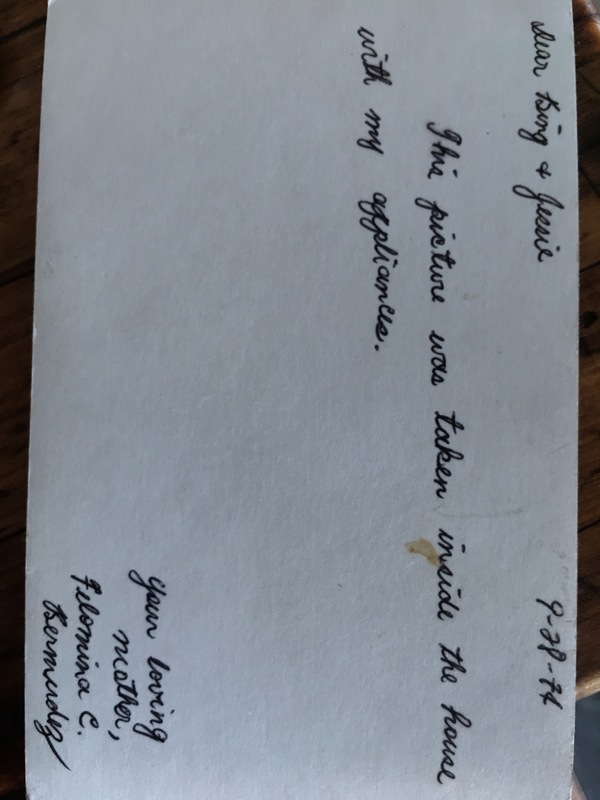 I know this now because my cousin reads out loud the back of the photograph written in Tagalog in my grandmother’s handwriting. 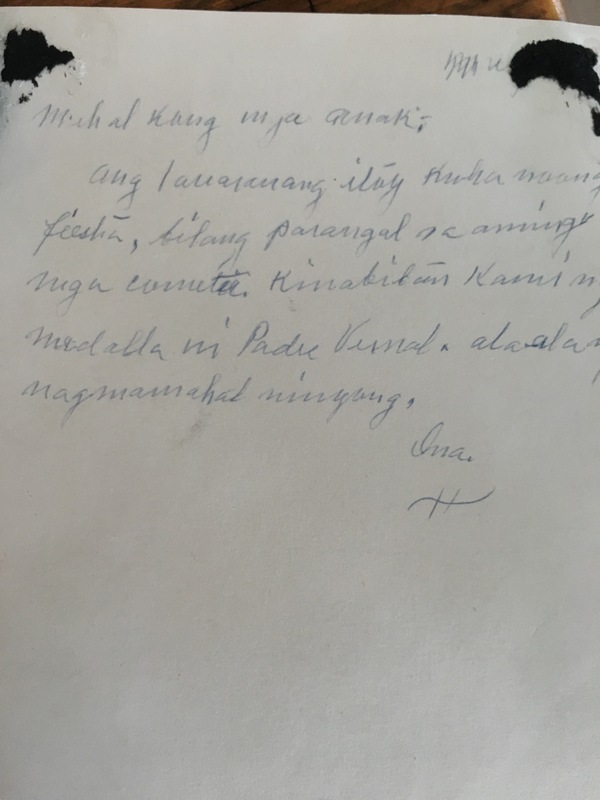 At the end of the paragraph she signs in script, “Ina”. “What does that mean?” I ask Carina. 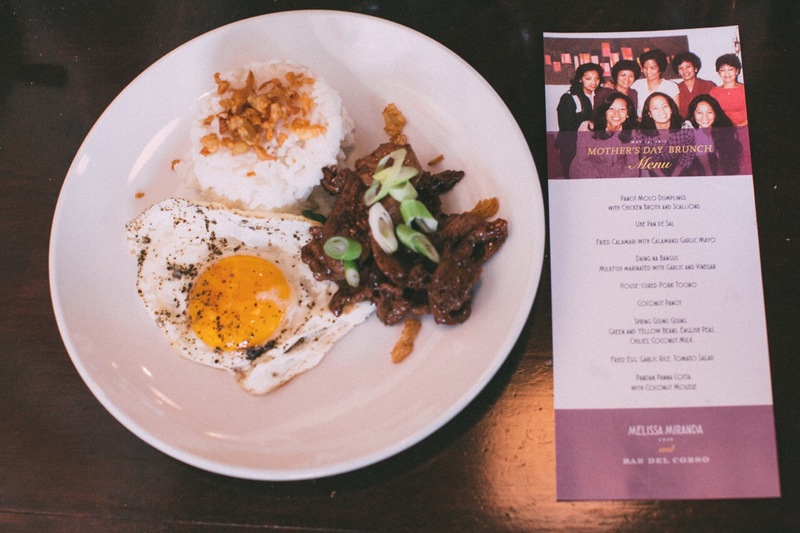 Yesterday, the day we celebrate mothers, the great granddaughter of these grandmothers who lived in provinces in a country 10,000 miles away hosted a Mother’s Day Filipino Brunch in honor of these mothers. 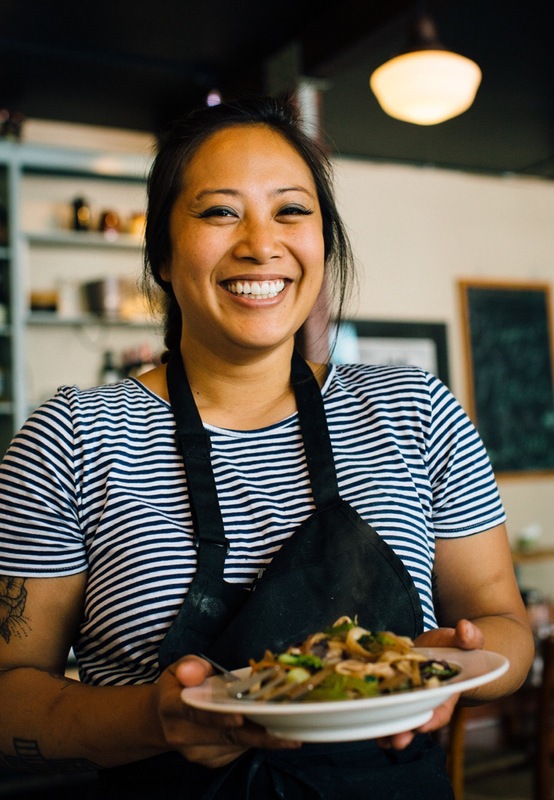 She prepared food native to our country in a city, Seattle, known for its foodies. 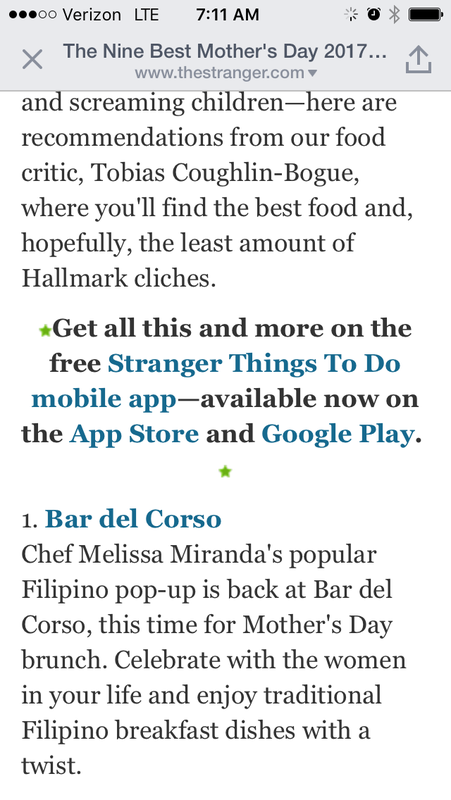 Her heritage menu was promoted in a local magazine as one of the Nine Best Mother’s Day 2017 Brunches in Seattle. 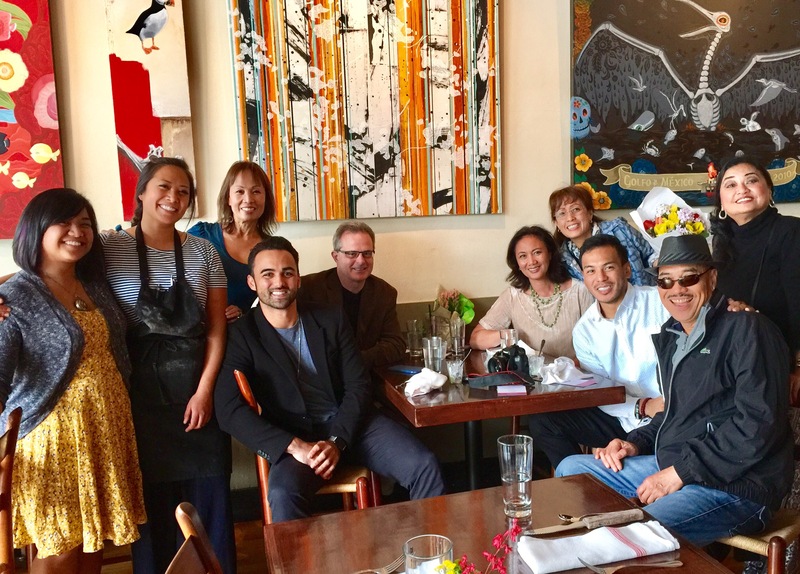 As the circle of mothers and daughters extend further out so does the gathering around the table, not only including family, extending to guests. The tradition of welcoming and gathering with food and laughter ripples out through the generations. My cousin Grace leans over to say good bye with tears and words of gratefulness for all my mother has done. The cousins gather around her to sing a song, a Filipino love song that was the favorite of my mother and father. Although the names of my cousins are barely recalled, the words of this beloved song are not forgotten. I rise above on metal wings. 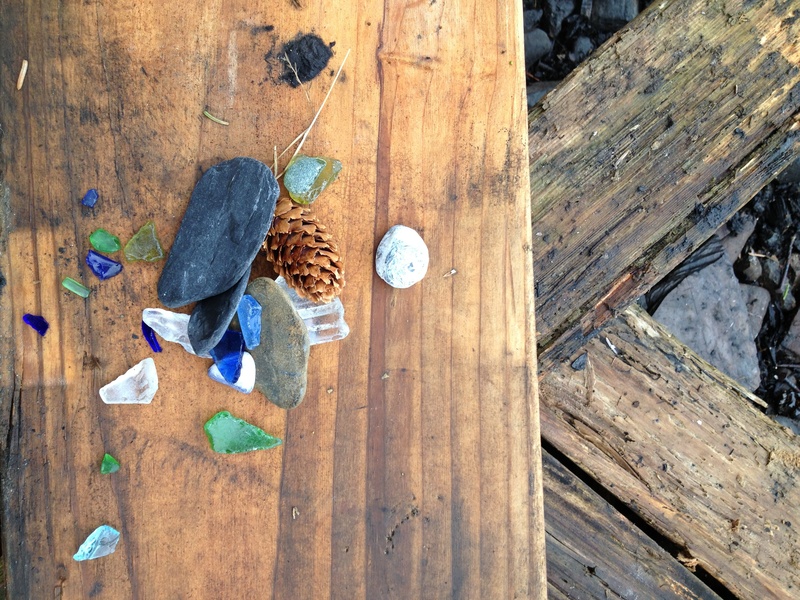 Grief, and forgetting, my mother’s disease. clouds and mist and vapor. From greys to pinks to orange. In vapor, in white on a blue canvas sea. What message does this half a heart bear? Or is the remnant of a broken heart? Half empty from grief and pain and sorrow? 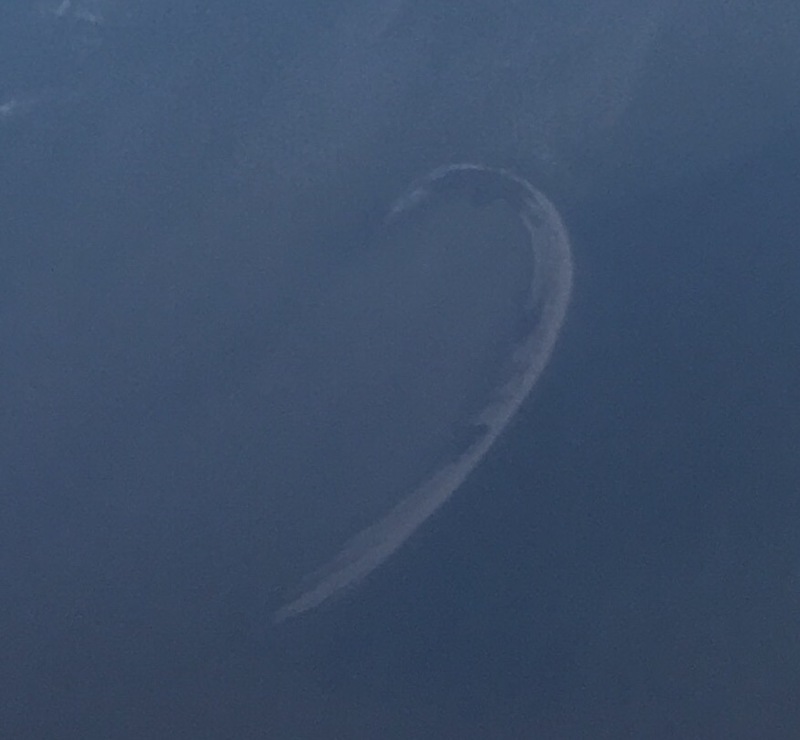 The half heart remains floating above the gulf waters. A message in the sky. The remaining journey attempts to answer that question. 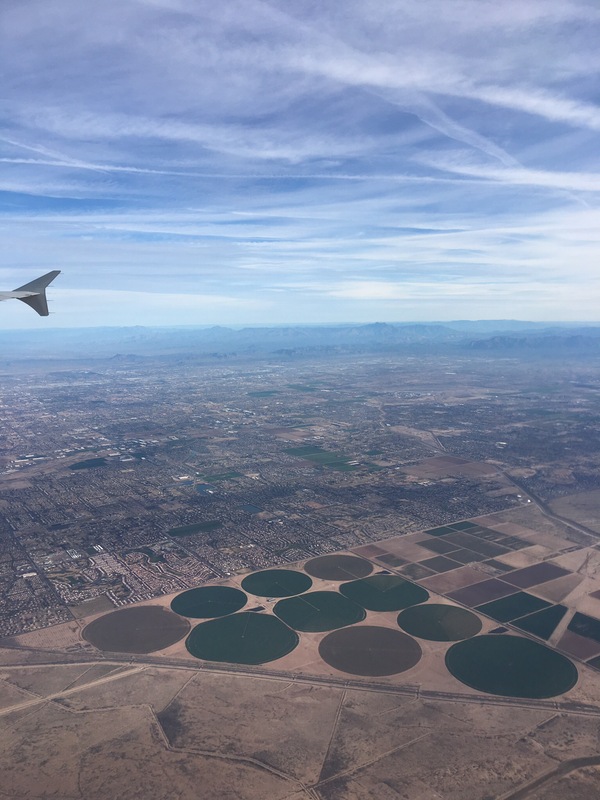 On this journey across the country I see the remnants, the attempts for us to be like God, constructing our own universe, power, the windmills the towns laid out in perfect grids, the farmland, from the sky, perfect circles. The network of connection of roads and highways sometimes singular across a vast nothing, sometimes a puzzle of roadways. All connectors. All looking for connection. The towers reaching to the sky to send signals. The skyscrapers stair stepping upward. 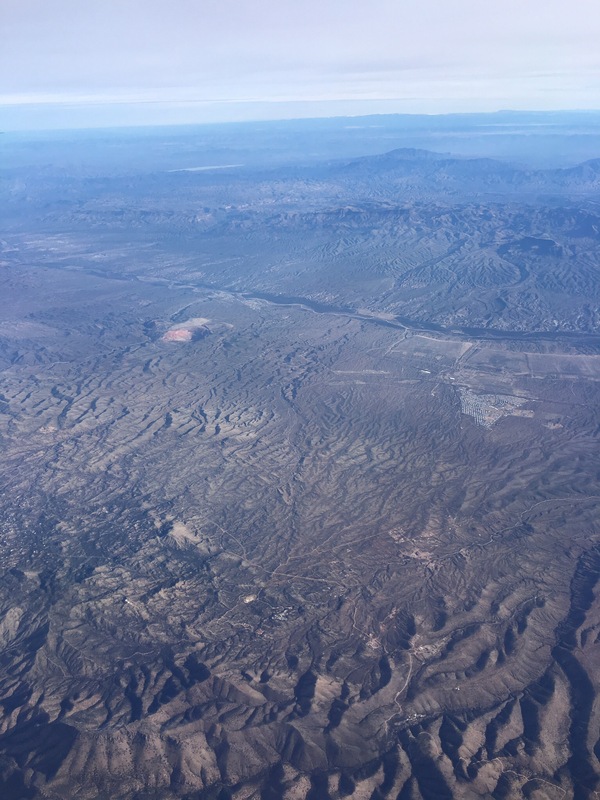 Beyond the cities and towns, a single peak, snow capped, tapping heaven, then sloping down into a valley that breaks out into a river, then a canyon, then a desert. This vastness that is this land. The land our forefathers traversed at first by foot or horseback centuries ago. The land our forefathers traversed in search of a new life and new horizon. This country of promise. My father came to this country, decades ago, standing on the deck of a freighter. He earned his entrance into America fighting on foreign soil, a soldier in the Philippine Scouts during WWII. He survived the Bataan Death March. He survived the Korean War. As he approached the port of entry spanned by the Golden Gate Bridge, he spoke to his young daughter, my sister, of the promise of this land, of the promise of America. “We will have a good life here in America,” he said to her as they crossed underneath the great orange arches. 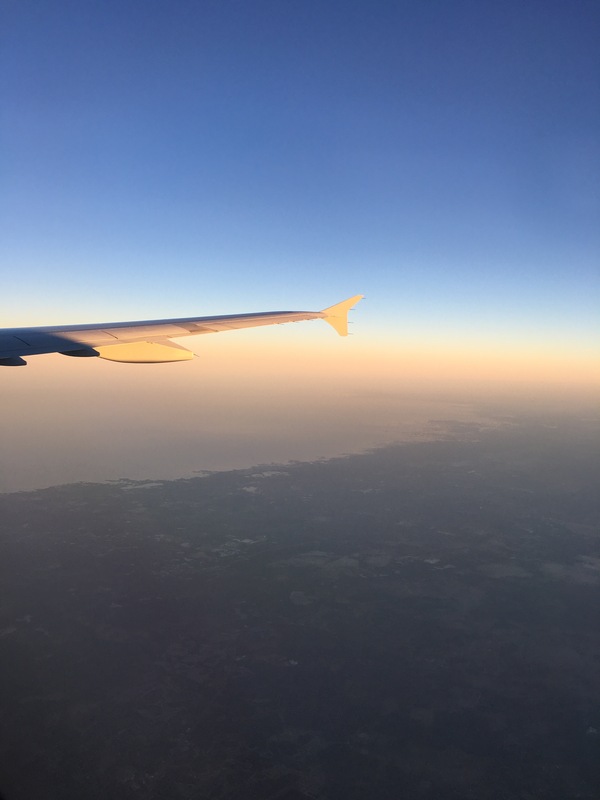 My plane lands a few hours south of where my father first entered this country, Monterey Bay, where a Filipino taxi driver takes me to my hotel. He is from the same area in the Philippines as my father. He speaks his language. He has been in this country 17 years. He speaks proudly of his daughter, who is going to college. He has my father’s dream, that his children get a degree. He has my father’s name. Jessie. I see my father’s face in the ones of those who work here at the hotel. My father, who was a laborer after his 24 years of service as a sergeant in the US Army. My father who could could only dream of staying at a seaside resort. My father who labored so his children could dream. Over the waters the next morning, perhaps one hundred miles south of the port my father first entered this country over sixty years ago a rainbow reaches from end to end. Not just one, but two. 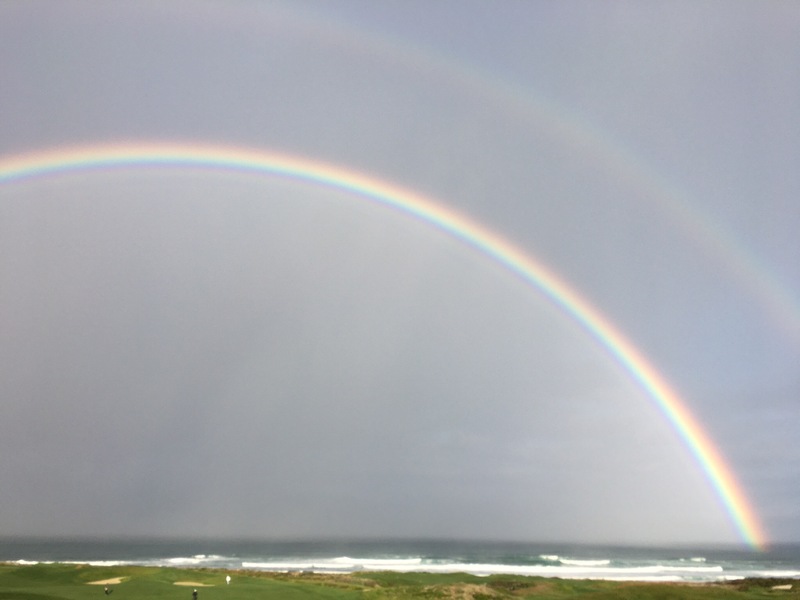 A double rainbow over the grey blue pacific waters. My father crossed the sea to enter this land just miles from the span of this rainbow. He came here to hope. He came here to fulfill promise. To start a new life in the land of promise. Of a life, a home, a car, a family started here in this country. Who carry degrees from universities and live in cities and towers from coast to coast. Who pursue education and the hope of helping others in a world that greatly needs help. And as my mother fades she too will join him.